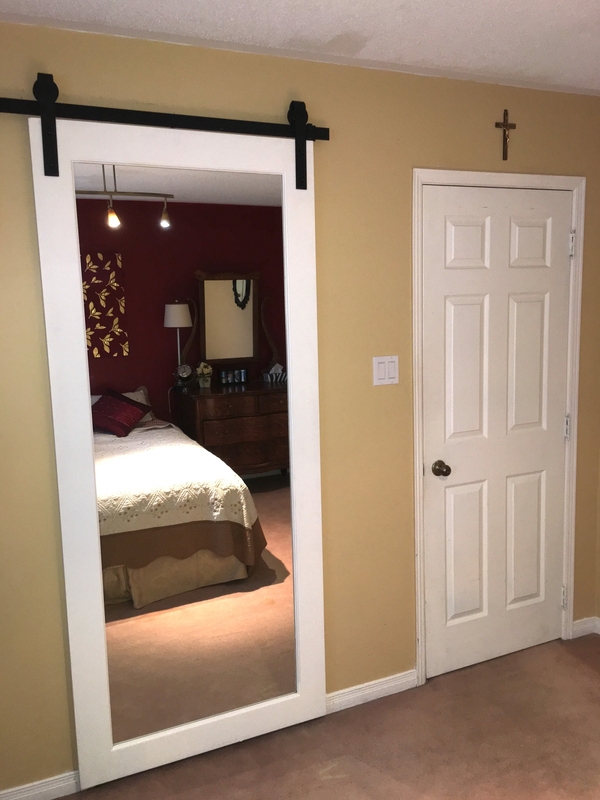 Replace old sliding hardboard or old-style mirror doors with a sliding mirror barn door. With a sliding barn door, you can have 100% access to the entire closet. Unlike old-style sliding mirror closet doors or bifold mirror doors that only allow 50% access to the closet, sliding mirror closet doors slide cleat of the clsoet door opening for 100% access.